As more entry-level 3D printers geared towards the novice flood the market, it can be hard to differentiate the good from the bad. 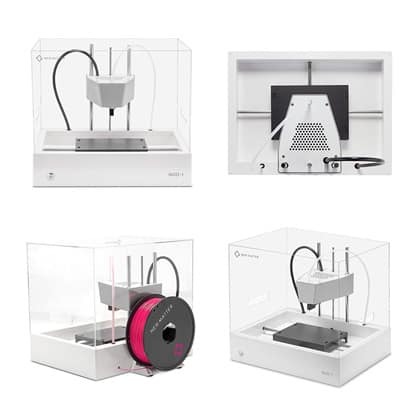 Among these is the NewMatter MOD-t 3D printer, a marvel of minimalist design touted as one the most user-friendly printers on the market today. 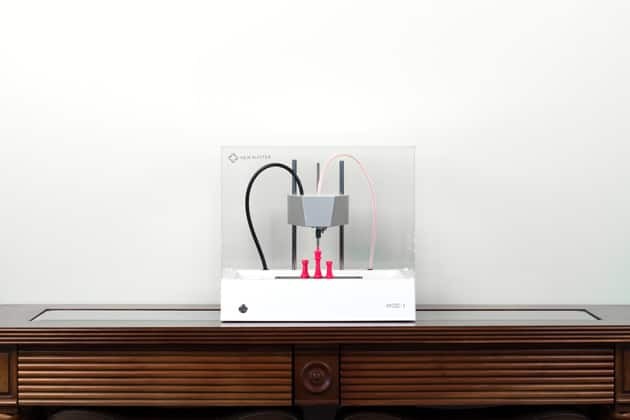 In the wake of the blistering success of its crowdfunding run on Indiegogo, which raised over $650,000, NewMatter brought the MOD-t to market in 2016. Does it stand up to the lofty promises of its designers, notably unmatched ease of use and simplicity, all for less than $400-$500? The MOD-t oozes elegant simplicity, from the removable clear glass panels to the streamlined Apple-inspired forms of the encased extruder shell. NewMatter employed the design prowess of technology design studio Frog Design to conjure up the sharp, clean, and sleek white look, and it shows. 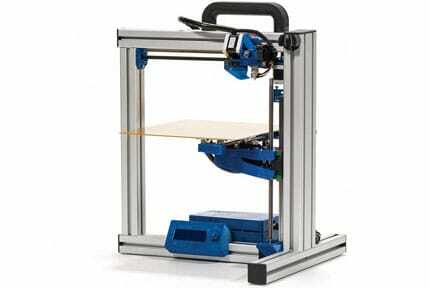 The MOD-t is easy of the eye, rivaling the look of pricier models such as the Ultimaker 2 +. The most interesting aspect of this focus on design is that it carries over to functionality as we found out when assembling and setting up. NewMatter has intentionally gone out of its way to make the MOD-t as friendly and functional as possible. Simplicity is such a core tenet of the design that the MOD-t doesn’t have a control panel or LCD. The only interactive component is a backlit button on the bottom left of the unit used to trigger, pause, or stop prints. The build area is a modest 150mm x 100mm x 125mm that, considering we are looking at a pre-assembled unit for less than $500, is reasonable and more than suitable for first-timers to cut their teeth with small print projects. The layer resolution options are surprisingly varied for such a small unit, with the ability to trigger faster prints at 0.4mm (400 microns), down to a reasonably accurate 0.05mm (50 microns) on the slowest speed setting. The MOD-t boasts a max speed of 80 mm per second. The nozzle is a fairly standard 0.4 mm hot end that accepts the common 1.75 mm filament. Material wise, the MOD-t only supports PLA, but at this price point, we can’t argue with this lack of versatility. NewMatter does, however, get points for not marketing the printer as compatible with other materials, only for users to find out this isn’t the case – a practice that unfortunately plagues kit printers in this price range. The MOD-t internal workings diverge from the standardized Cartesian fused filament fabrication build and incorporate a rather novel axis control system. Doing away with the tried and trusted multiple motor/belt setup to move the extruder and build plate on the three axes, NewMatter has perfected a set of servomechanisms that run two horizontal and perpendicular geared pinion rods. The build plate sits on the pinions via grooves or teeth that lie underneath and catch the gears. The build plate isn’t held in place and instead lays on top of the pinions. As the gears and teeth interact, the build plate is latched and moves on the Y and X axes. The Z-axis is assured by two vertical perpendicular pinions holding the extruder that act in very much the same way. The pinion design isn’t so much to reinvent the 3D printing wheel, but rather to cut costs due to the inherent need for fewer, and less complex, components. A much simpler design lowers manufacturing costs and allows NewMatter to ship the MOD-t at such a competitive price point. 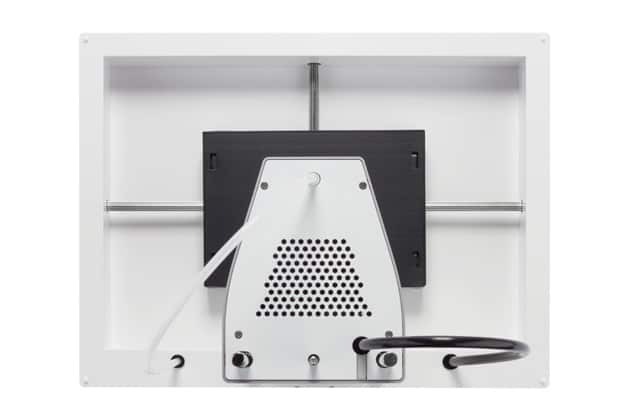 The build plate is sadly not heated but is equipped with a removable flexible plastic surface plate to aid stability and the removal of prints by bending the plastic to ease them off. Where the allure of the MOD-t trails off is connectivity, not so much in the sense of the options (standard USB or Wi-Fi), but the constriction of having to be online to ready and launch a print job, because the MOD-t works with NewMatter’s proprietary browser-based printing app. In itself, the idea is brilliant. It means anyone – using any OS – can dive in and start printing without any issues. Mac or Linux? No problem. The app then safeguards a library of prints either downloaded or purchased from the NewMatter website or uploaded by the user, triggered for printing in just a few short steps. The app is intuitive and sticks to a format we’re all accustomed to thanks to the pervasiveness of smartphone and apps. Hobbyist lingo or technical considerations won’t dumbfound novices nor will the simple interface of the app. 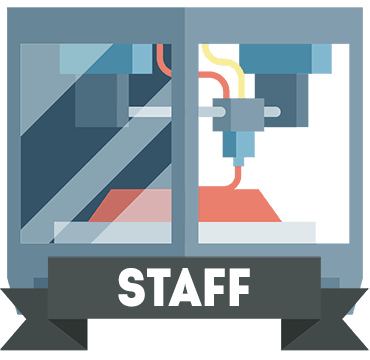 As mentioned above the app is ideal for beginners and allows a certain amount of limited flexibility for those wanting to venture a little deeper into the specifics of 3D printing. From the app, you can adjust the layer resolution, resize the print object, upload and share print files. But anything more, and the app falls short. 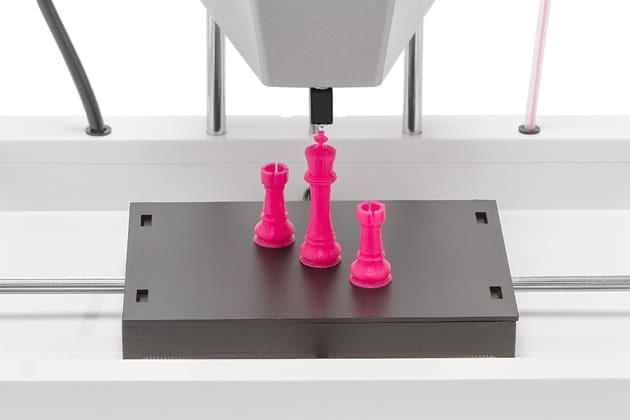 To cater for this, NewMatter also provides the Printer Tool desktop software where the user can upload a .gcode file and apply all manner of parameters such as adding or removing supports, tweaking the extrusion speed and a plethora of other custom settings. From unboxing to launching that first test print, NewMatter has once again aimed for simplicity. 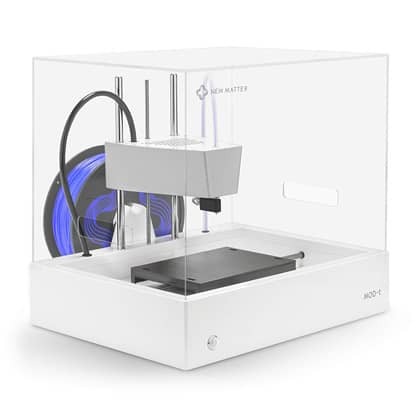 The MOD-t ships well-packaged and adheres to the efficient and straightforward ethos down to the accessory boxes placed in a modular fashion to protect the printer. As for what’s in the box, the MOD-t is a veritable treasure chest of accessories: printer, wire brush, scraper, clippers, USB cord, kettle lead, filament spool holder, filament spool, PSU, and build plate. From here, all that needs assembling is the build tray, which involves placing the surface plate onto the build plate and sliding it into place. It couldn’t be easier. The next step is loading the filament into the printer via either the MOD-t browser or MOD-t Printer Tool desktop software (you’ll need to connect your PC via USB to establish a Wi-Fi connection, but from there onward you can use the printer wirelessly). 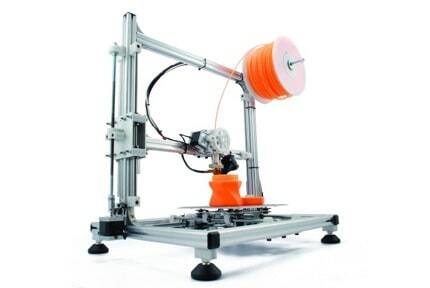 Attach the spool holder to the back of the printer, pop on the filament and feed it into the device. From here, we had to feed the filament until it popped out of the other end of the spoil tube. Initiate the feeding process of the app, which heats the hot end, then load the filament into the hole at the top of the extruder carriage. The above steps are simple enough that, with the helping hand of NewMatter’s succinct introduction guide of the browser app, are within the means of even the most unversed newbie. The build plate is also self-calibrated by the printer, so no user-led calibration process to tackle. Overall, the MOD-t produces quality prints if you stick to the curated selection from the NewMatter app. We were hard pressed to find much wrong with the results. The mistakes are minimal, and the printing process is slow, but not unbearably so. Thanks to the glass casing, the noise is relatively low for a printer of this caliber. From loading up a print via the app to launching it with a simple touch of the button on the device, by way of bending the flexible surface plate to remove a finished print, the process was easy and intuitive. Where the print quality starts to tread shaky ground is when more detail is required, or put otherwise when you opt for print jobs that aren’t part of the NewMatter store. Most of our tests with outside prints ended up with mild to severe imperfections, and in a few cases in that all too familiar mess of scrawled filament. The root of the problem is the build plate, which as we mentioned above isn’t attached or clipped into the pinions. Instead, the natural friction of the gears is what keeps it in place; the natural vibrations of the printing process shift the plate in small increments. NewMatter offers a rich library of support articles and video walkthroughs covering setup to navigating the browser app. It’s cheery and unassuming, ideal for a daunted novice. Beyond this, there’s no support whatsoever as NewMatter shut down in early 2018 taking the web app, crucial to the MOD-t’s functionality with it. 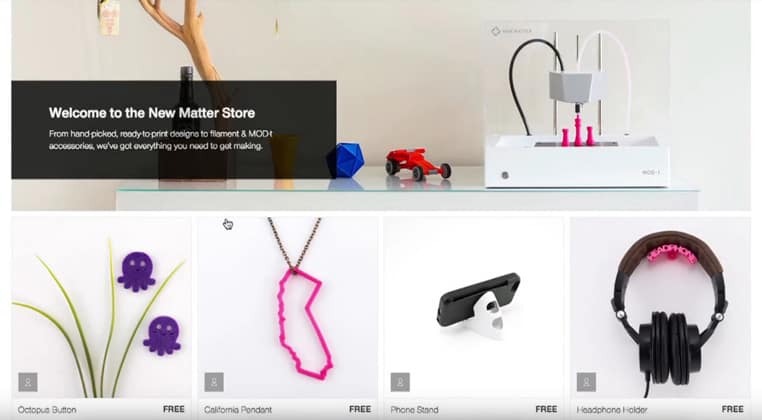 Users can still make use of the MOD-t Printer Tool desktop software and upload .gcode files made with third-party software to create prints, but that’s it. 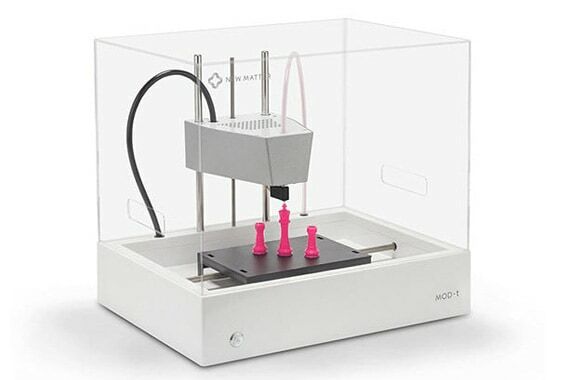 For someone who wants to discover the world of 3D printing, the MOD-t is excellent. The price tag is reasonable, the curated library designs varied enough to keep interest, and the ease of use is unmatched. However, the MOD-t suffers from its own simplicity especially in the wake of the company shutting its doors. The core idea of using the web app to initiate, manage, and shop for print designs mean the MOD-t is all but redundant for first-timers. 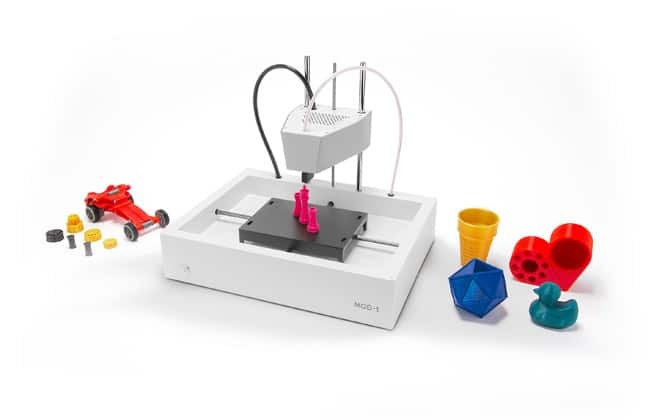 The MOD-t has, therefore, only become a viable option as a unit for seasoned makers who know how to create .gcode files and who want a well-designed entry-level printer. Beginners will struggle too much with the MOD-t without the helping hand of NewMatter to guide them. As a packaged product for the beginner market, the MOD-t is a near perfect printer, but the central tenet of the now-defunct browser app as guiding the whole operation means the MOD-t is more or less redundant.